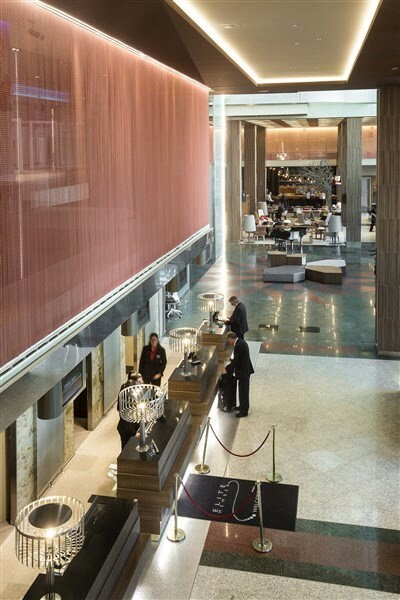 The perfect balance between business and pleasure is found in the largest Marriott Hotels & Resorts in Europe, located in Madrid. It is a reference in the celebration of conventions with its more than 50 rooms and an auditorium for 2,000 people. Given his experience in the design of hotels, the architecture and interior design studio Requena y Plaza was commissioned to design the new establishment that stands out for its spacious, innovative and elegant spaces. 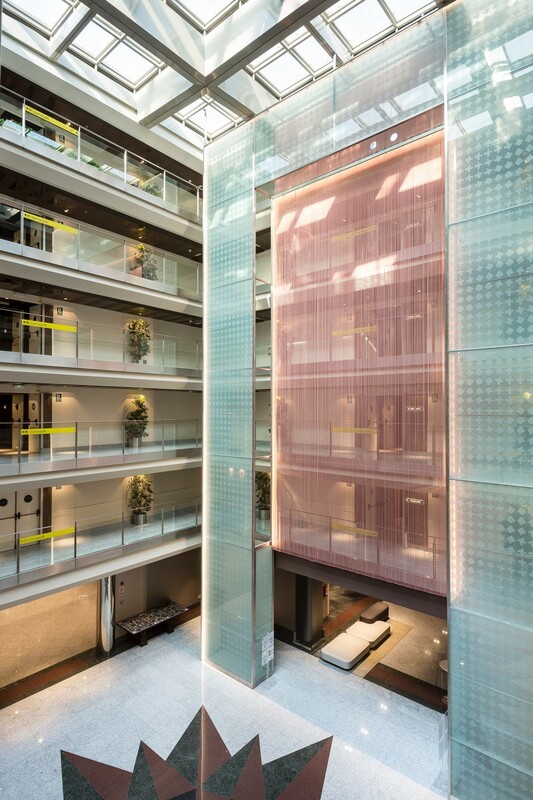 One of the details that is worth visiting is the spectacular wrapping of the mezzanine, the Lobby and the Business Centre, all decorated with the anodized aluminium links of Kriskadecor. This relaxed and comfortable proposal is accompanied by a subtle blend of steel, glass, polyester textiles, vinyl and lacquered wood details.